When I talk about knitting christmas presents to some of my friends they believe me to be a bit delusional. Socks, chrsitmas stockings, slippers, shrugs, and blankets all are on the list of things I percieve myself to be able to make by the looming 25th. Some are even "due" before. There is no time to rip out so I must use tried and true patterns to make sure that these presents are worth it. So, if you're like me and want to crank out one more christmas gift here are a few patterns that I think may inspire you. Stocking caps! This is originally from the Holiday Knits book but they made available this pattern for this holiday. Is it wrong I may want to wear this ALL the time starting tomorrow. By far my favorite sock pattern for a guy is Thuja. This fabulous Knitty pattern is knit with DK weight yarn on size US6 needles. I've made a pair for both my husband, father and brother. They've all requested another pair this year. 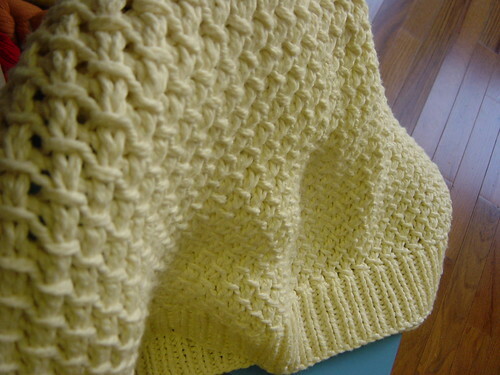 If you're going blanket, I suggest the Lattice Stitch by Mac & Me. It's knit with two strands of Blue Sky Organic cotton on size US 15 needles. The above blanket was knit by my friend Patricia, who also sells the pattern and yarn at her shop (www.patriciasyarns.com). It's size is perfect for a snuggle on the couch or adorning the crib for one of your favorite new moms. 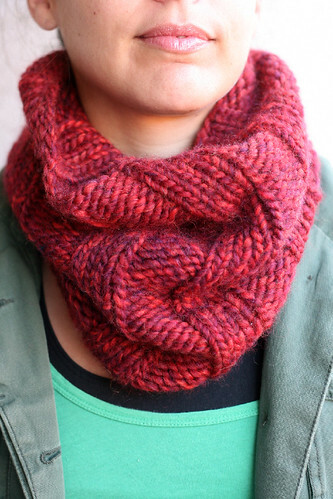 And if you only have an hour to knit - Korkniesse! 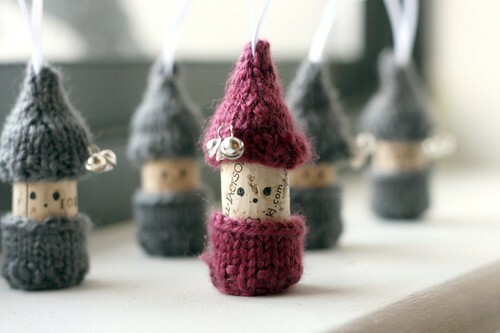 I make about a dozen of these little guys each holiday. I mean how can you deny their cuteness! It's the perfect handmade ornament to top off any present be it store bought or handmade. Plus, when I talk about fast to make, I could have finished one faster than writing this blog post. What are you favorite holiday knit patterns? I love each and every one of your suggestions but the stocking caps are absolutely perfect for the young adults/teens in my family!! Thank you!! Oh my GOD! Those Korkniesse dudes are the cutest thing EVER! Thanks for the roundup, Margaux!